This great kit introduces students to the colorful life of Archaea and helps students learn about microbes and their natural habitatin this case, the extremely salty areas of the world, such as the Great Salt Lake and Dead Sea. Students culture the extreme halophile (salt-loving) microbe Halobacterium sp. NRC-1 from a safe grain of salt. This great kit introduces students to the colorful life of Archaea and helps students learn about microbes and their natural habitatin this case, the extremely salty areas of the world, such as the Great Salt Lake and Dead Sea. Students culture the extreme halophile (salt-loving) microbe Halobacterium sp. NRC-1 from a safe grain of salt. 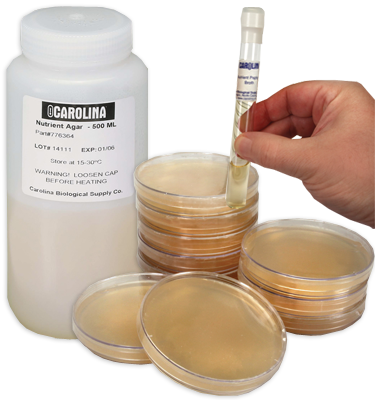 Developed by Priya and Shil DasSarma in collaboration with Carolina Biological Supply Company. Designed for 32 students.